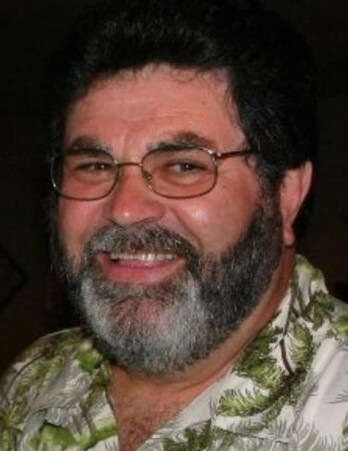 Obituary for John J. Denney Jr. | Shore Point Funeral Home and Cremation Services, Inc.
John J. Denney Jr., 66, of Old Bridge, New Jersey, passed away at his home on Wednesday, January 23, 2019. John was born on September 10, 1952 in South Amboy, New Jersey and grew up in Laurence Harbor, New Jersey, where he spent the majority of his life. In 1997, he settled in Old Bridge, New Jersey. Before retirement, John worked as a Road Supervisor of Middlesex County Road Department for 41 years. Even after retirement, John kept busy with many of his hobbies and passions. He was a Volunteer Fireman for Laurence Harbor Fire Department. He was also a member of the Laurence Harbor First Aid Squad. 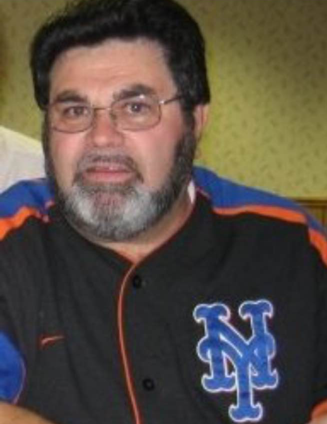 John loved sports, which was displayed through his involvement as an Umpire for the New Jersey State Federation of Umpires. He was also a football coach for the Raritan Bay Cougars and the Laurence Harbor Little League, in addition to acting as a member of their board. Above all else, John was a loving father, brother, grandfather and friend. He was predeceased by his parents, Susan (Intelli) and John J. Denney Sr., his brothers, Theodore, Harold, and Charlie Denney, his sister, Theresa Ann Sporer, his nephew, Theodore W. Denney, and his granddaughter, Marissa Leonhardt. John is survived by his loving children, Valerie P. Leonhardt and her husband, Richard, of Old Bridge, and John T. Denney of Old Bridge, and his dear siblings, Marcella Denney, Jacqueline Rosant and her husband, Robert J. Sr., Susan Navarrete, Robert Denney and his wife, Betty, Rocco Denney and his wife, Patricia, and Roxanne Denney. John is also survived by his brother-in-law, James Sporer, his cherished grandchildren, Alyssa, Julia, and Justin, Leonhardt, and Gabriella Feeley, along with many adored nieces, nephews, great nieces and nephews, extended family and friends. He will be deeply missed, but never forgotten. Family and friends are invited to visit on Monday, January 28th, 2019 from 4:00 to 8:00 PM and Tuesday morning, January 29, 2019 from 8:30 to 9:15 AM at the Shore Point Funeral Home and Cremation Services, Inc., 3269 State Highway 35 North, Hazlet, New Jersey 07730. A Mass of Christian Burial will be offered on Tuesday morning, January 29, 2019 at 10:00 AM at St. Lawrence Church, 109 Laurence Parkway, Laurence Harbor, New Jersey. Interment will follow at St. Joseph Cemetery, 360 Broadway, Keyport, New Jersey 07735. In lieu of flowers, donations in loving memory of John to the Alzheimer's Association, www.alz.org, would be greatly appreciated. For information, directions, or to send condolences to the family, please visit, www.shorepointfh.com.